theteachyteacher: Switch it OUT! 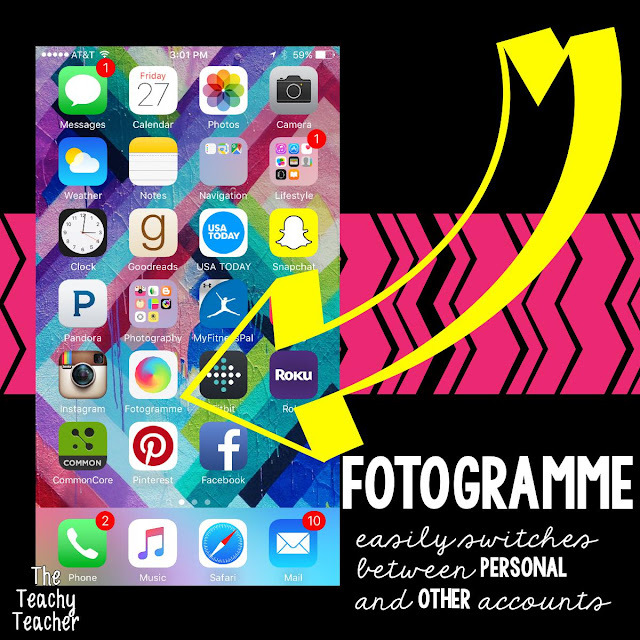 Instagram Tip! Here's a tip for YOU! 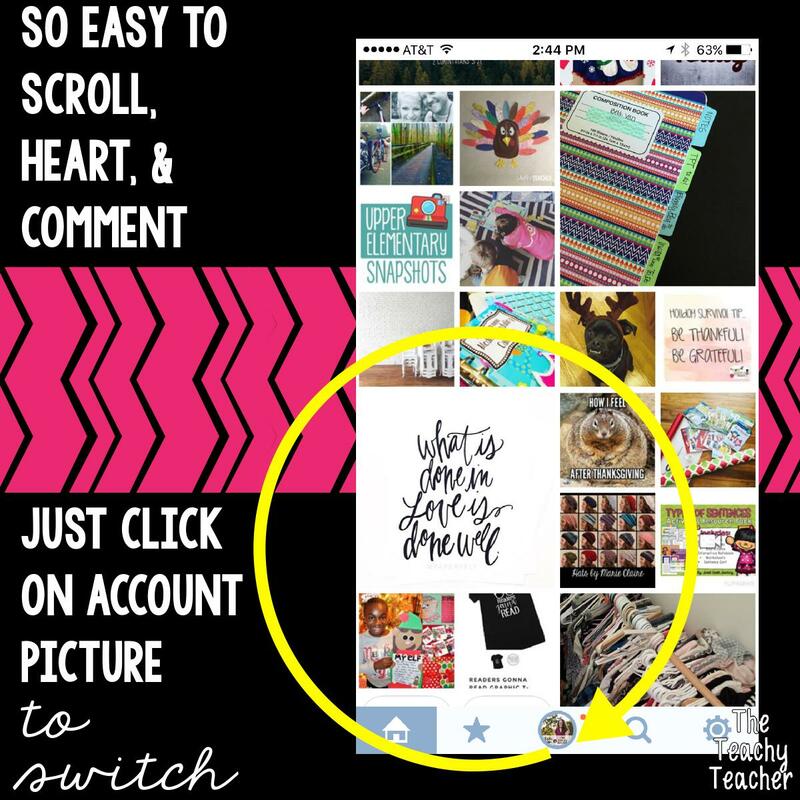 Whether you are a teacherpreneur or have private class instagram, on top of one of your own, logging in and out can be so frustrating--and making sure that you are posting on the right account. Total #firstworldproblem but time is of the essence, right? Especially teacher time. 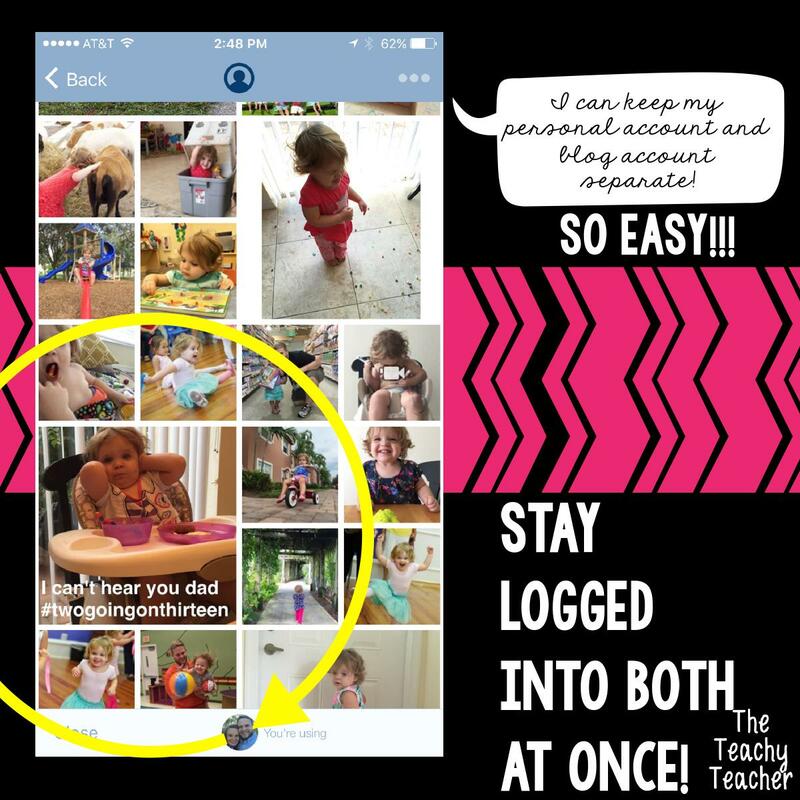 I LOVE to document everything my little girl does (plus family things and kitchen successes and disasters because I LOVE cooking) and all the teachery things too (probably just like you!) but don't want the two to mix. Anyone else? 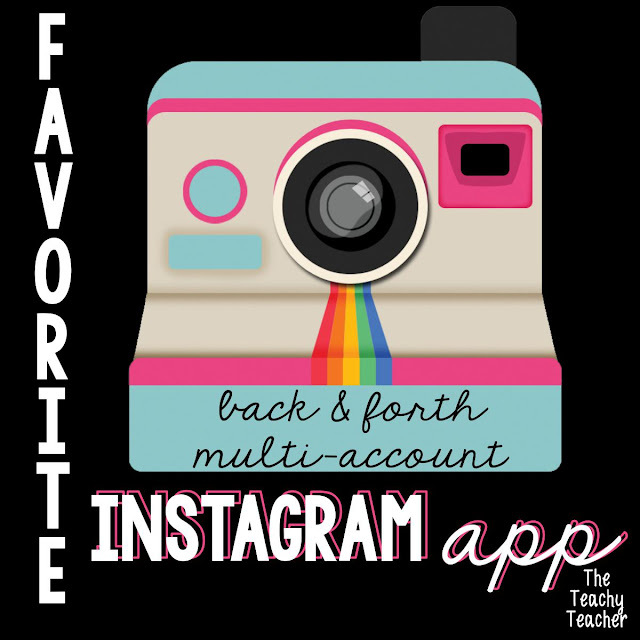 Also, my big passion is teaching, creating, and education...but not all of my friends and family want to see posts of long division, tpt sales, and stacks of papers. It's such a hassle to log in and out of both accounts and keeping everything straight! So I tested out lots of APPS but FOTOGRAMME has been my FAVORITE. I can easily switch accounts or sometimes just keep my teachery account open on it and my personal one up on instagram. You can browse so easily, heart, and comment to your hearts content. The account picture tells you which one you are logged in on. Which makes it so so easy! Here's my little girl! She's so two, happy, sassy, silly, and full of two year old moments. AND I also love collecting memories for our family chatbooks. I hate missing out on whats going on with my teacher friends and also family...AND that's what I love about this app makes it! I can keep things together and organized! And I need all the help I can get! This is just a favorite. Photogramme has no idea that I exist or that I love their app.